The Fort Lauderdale Yankees already had a lead in this April 1991 game and Larry Walker helped extend it, according to The Sarasota Herald-Tribune. He did so by hitting a solo home run in the third inning, part of a game where he scored a second run and also knocked in another run. Walker was in his second professional season that year. He only played in one more campaign. Unlike another player with the same name, this Larry Walker briefly made AA, but didn't make it higher. Walker's career began in 1990, signed by the Yankees as an undrafted free agent out of the University of Miami in Florida. Walker played his first season at single-A Greensboro. He got into 79 games and hit .230. He also stole 11 bases. He moved to high-A Fort Lauderdale for 1991. He went 0 for 2 in a July game. Overall, the catcher hit just .127 in 48 games. 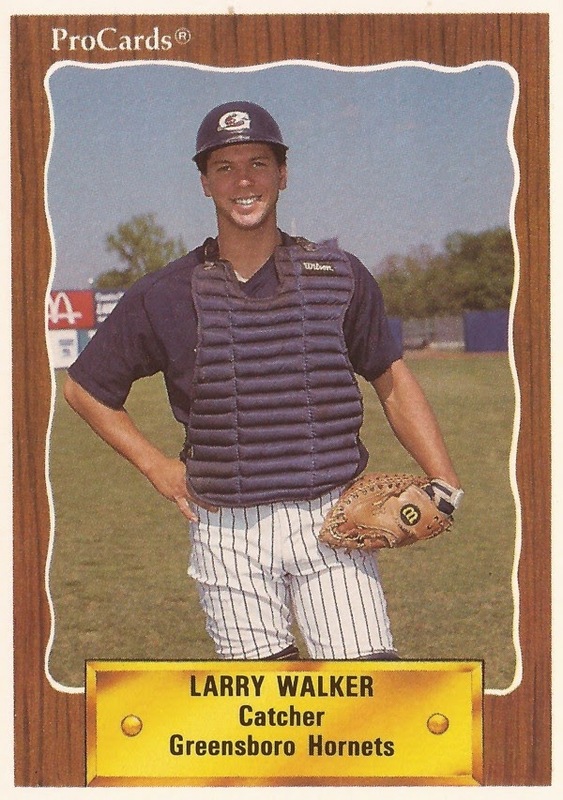 For 1992, Walker returned to Fort Lauderdale, getting into just 14 games. He picked up two hits in an early August game there. He also made a brief appearance at AA Albany-Colonie. He got 1 hit in 15 at bats there. It was Walker's final season as a pro.